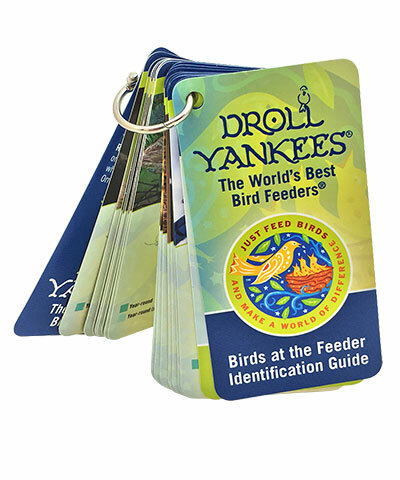 Quickly learn which birds frequent your feeders with the Droll Yankees Birds at the Feeder Identification Guide. This convenient, pocket sized guide lists fifteen birds most commonly found at bird feeders. Full color photographs of each bird, along with a habitat map help you determine which bird you are seeing at your feeder, and an easy-open metal ring clasp keeps the booklet together. The back of each page has a short description of the birds' size, common behavior, and calls, and the small size makes it simple to keep in your pocket as a quick reference. Hone your bird identification skills with this Birds at the Feeder Identification Guide.